Contractors pour concrete for the pumphouse foundation at Mount Snow’s West Lake snowmaking reservoir. The project, along with the new Carinthia Base Lodge, is being paid for by EB-5 investors. 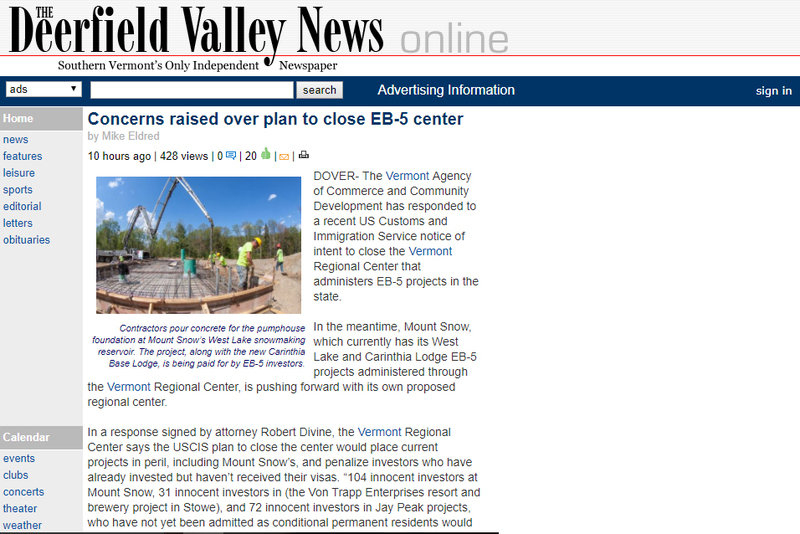 The Vermont Agency of Commerce and Community Development has responded to a recent US Customs and Immigration Service notice of intent to close the Vermont Regional Center that administers EB-5 projects in the state. In the meantime, Mount Snow, which currently has its West Lake and Carinthia Lodge EB-5 projects administered through the Vermont Regional Center, is pushing forward with its own proposed regional center.